Tomorrow I'm making cheddar, so tonight we opened one up. This one is six months old, very mellow and aromatic. At this age, the cheese is very useful for cooking as well as eating. 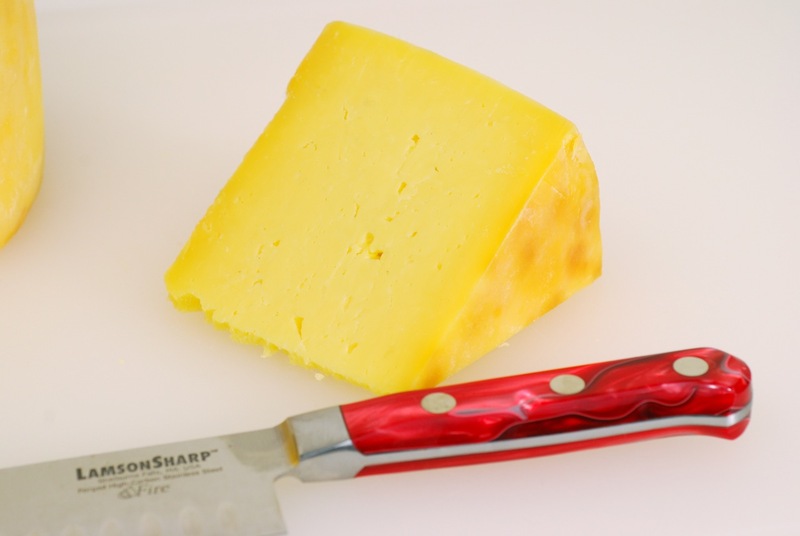 The one-year cheddar is so special, it's kind of a shame to cook with it. And so, I keep the cheddar in rotation. These cheddars are the best I've tasted. Maybe it's because it's Vermont, maybe it's the raw Jersey milk, and well, I have something to do with it too. I make cheddar using the traditional cheddaring method, in which slabs of cheese curd are allowed to stretch out under their own weight, in a warm pan. 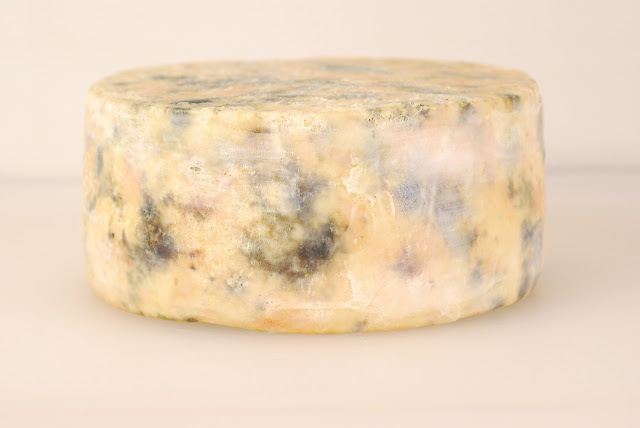 As the layers stretch out, the curds are piled up in higher layers, which then stretch out again. The resulting curd has the texture of chicken breast. 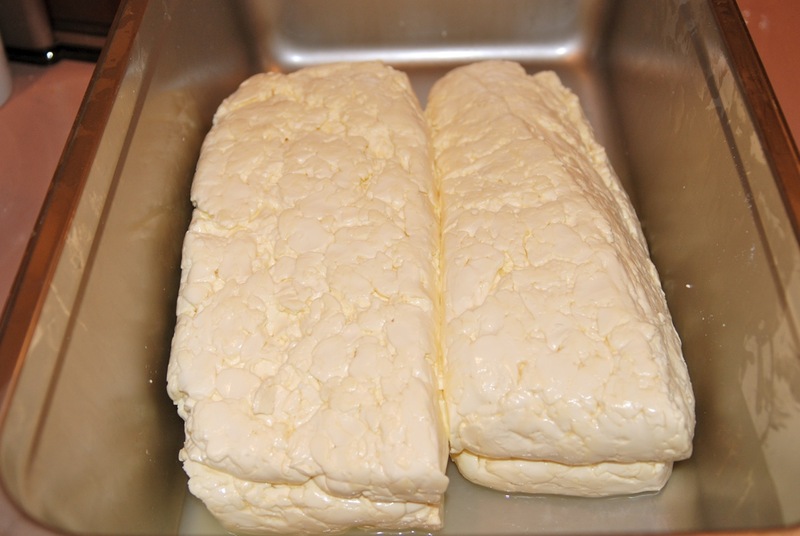 The curds are torn apart again, salted, and then pressed in a form. Then the cloth wrapping: cheesecloth is cut to shape and closely fitted around the disk of pressed curd, and hot lard is brushed all over, to stick the cloth down to the cheese. The finished cheeses are put away in wooden boxes for the desired period of time, which can be up to a couple of years if you're an extreme cheddar person. Then nature takes over. Now the best part. 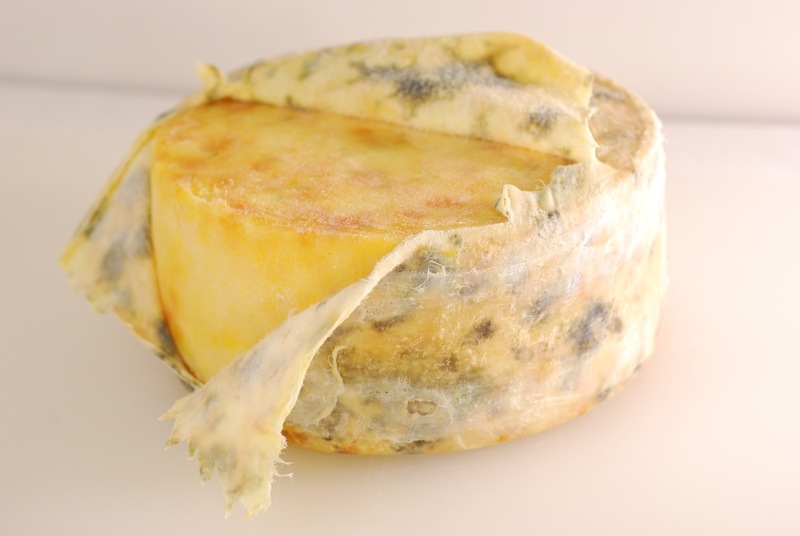 Removing the cloth reveals the golden cheese within! Enjoy... for a couple of months until the next cheddar is ready! Cheese making... wow. Simple yet so extraordinary at the same time. Love it! I don't know if I'd be able to wait the whole six months though! I loveeee cheese. Obsessed with cheese. Love it. Well put Brittany! Thanks very much! I really like this blog. I've only made ricotta but have been wanting to branch out and make more cheese...this looks so good. I'll be visiting here more often. 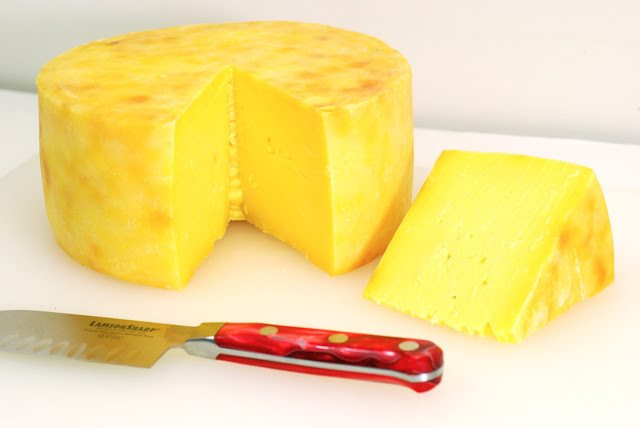 After pressing do you immediately wrap the cheese? and once rubbed in lard do you need to clean it, or just turn it and let it go?